I’ve always been a big fan of The Body Shop®, but in recent years I have found myself falling out of love with the brand and moving on to other skincare products. 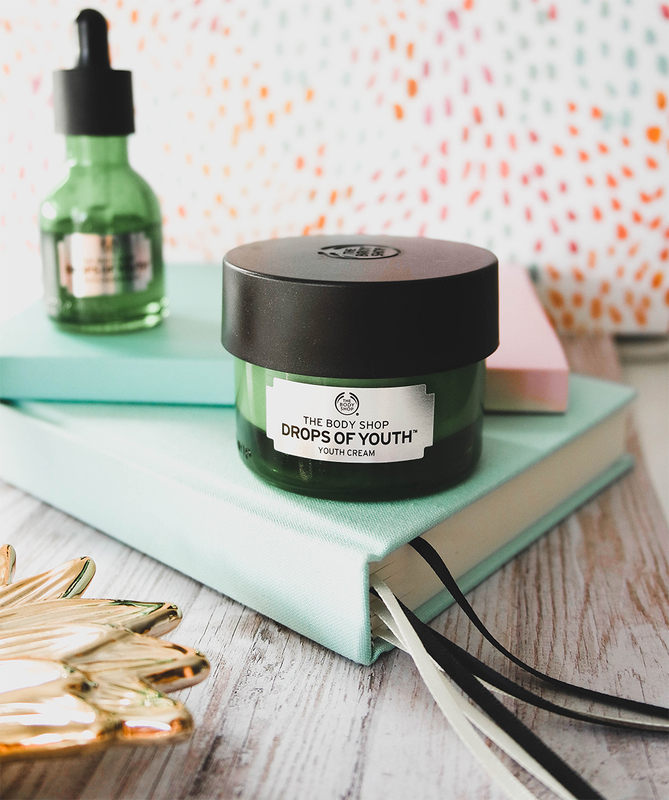 Recently when a new store opened nearby I renewed my love for their products when I discovered the amazing Drops of Youth range. I’d recently started to notice my wrinkles getting deeper, especially around my forehead, and the moment I saw these I knew I had to give them a try. Now I know it’s not a miracle cure. Even with a name like “youth concentrate” even I wasn’t sucker enough to believe this would eradicate my wrinkles completely. In fact, I was still dubious it would even make a difference, it’s not something I expect from a mid priced high street brand, that’s why you pay a fortune for the high-end miracle products right? I’ve been using two of the products from the range for a few months now and I can honestly say the results have been great! Retailing at £26 for 30ml or £33 for 50ml (pictured) this was the first product I tried. It comes with a pipette, which, if I’m honest, is a bit useless, as you can easily end up with more product on your face than you need. I often end up just wiping the edge of it on my face instead of squeezing it so as not to waste product. I get that it’s there to make the product feel scientific and more like a high-end spa product so I can live with it, but if can be fiddly at first. It’s a very light consistency that is easily absorbed into the skin, so great when you’re in a rush first thing in the morning. The end result is a little tacky to the touch so I often add moisturiser over the top and that solves the problem. I started to notice a difference after a few weeks of use, my skin was less flaky and visibly plumper, which reduced the depth of my wrinkles (I really wish I had taken before photos!). The product also lasts AGES, so not only is it very reasonably priced compared to similar products but I’ve not even used half a bottle yet. Retailing at £22 for 50ml, it’s cheaper than the concentrate, as apparently not as “strong” and well, concentrated! There’s something quite satisfying about slapping on the “youth cream” twice a day, in fact, I’m pretty sure now I’m in my early twenties I’ve added so much “youth” into my beauty regime! Joking aside though, this is a really nice cream. It’s on the thin side, which I prefer on my skin. Anything too heavy usually brings me out in spots. It’s also not overly scented. Like the concentrate, it just has a very subtle “fresh” scent to it, which doesn’t last once you’ve put it on. Again this has lasted me a while, as the thin texture means it spreads well and you need a pea sized amount. I’ve been using it twice daily and it’s over half full still. Overal I love the range. 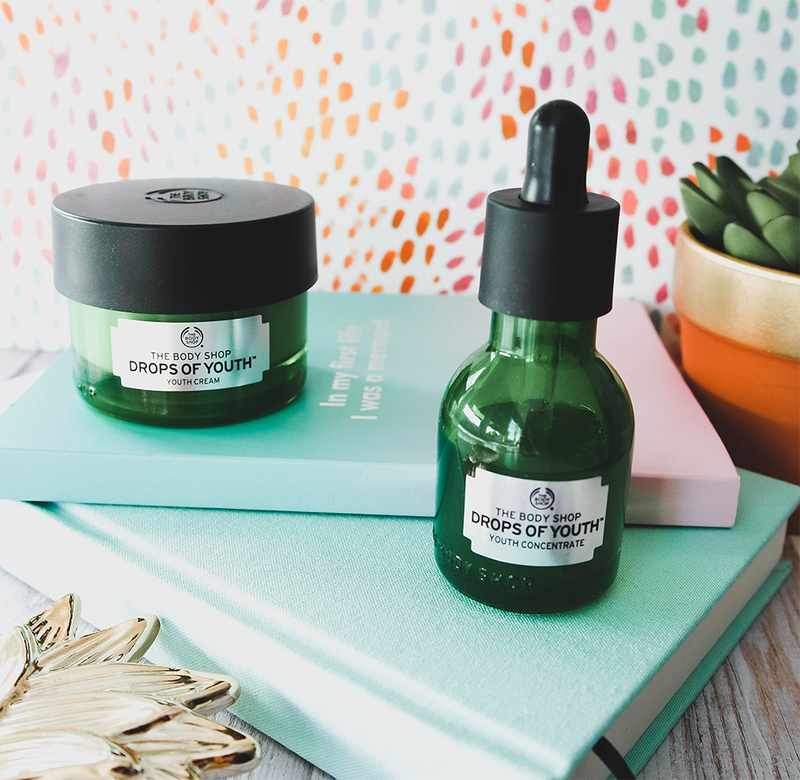 There are a few other products such as the liquid peel that I fancy trying in the future but these two have been firm favourites within my skincare regime in recent months and I’m so glad I can enjoy The Body Shop® products once more. If you’re thinking of trying the range I highly recommend contacting a The Body Shop Consultant (such as the lovely Sarah) as you can get some great offers and products before they arrive in the shops whilst supporting a fellow #girlboss ? So what are your favourite The Body Shop® products? 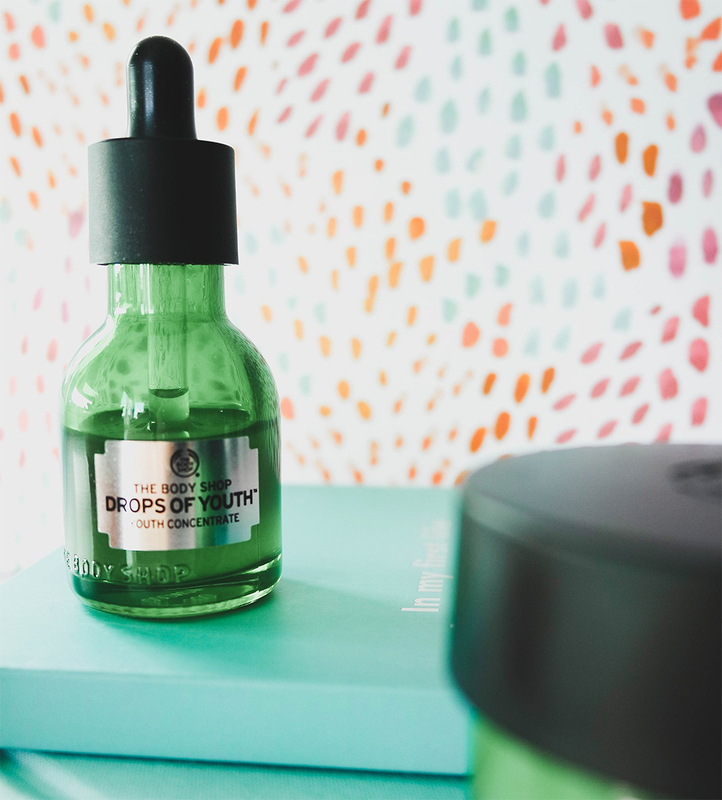 Have you tried the Drops of Youth range? I’d love to know what you think! Really interesting to read your insights on this product! Eeeep I need to get me some of that! Age is scary when you start noticing wrinkles. agreed, I wish I’d started sooner! Thanks for the review, I’ve always been curious about wrinkle stopping agents. I love the sincerity of your review. I;’m gad you didn’t claim it removes the wrinkle overnight. if only it did, I’d buy that! I don’t know if I’ve ever seen these products, I will have to see if I can find these! Drops of youth sounds worth checking out. Good to know about your positive feedback about this. These both sound like nice products that give real value for money. It’s nice to find products that aren’t just hope in a jar. interesting review, it’s a product i hadn’t heard of before. appreciate the commentary! There used to be Body Shop stores in my area. Not sure if the product you’re reviewing is from the store I used to visit…but it sounds great. I love The Body Shop and this product sounds great. I’ve got to try it out! This looks like an amazing product! I also love your flatlays and design style. So pretty. Pretty advertising always makes me want to try things ! I have been wanting to try the Drops of Youth range for aaages and now I am sold. The packaging for this product looks awesome. I’ve been looking for something to start taking better care of my skin so I may just have to give this a shot! Ohhh I have a sample of the cream and you’ve made me so excited to try it!! It’s so important to start anti aging products early! That concentrate sounds like a miracle worker! I think I might have to try this too, I just turned 27 and those creases are definitely becoming more viseable! I like that it’s light though as I get bewak outs from heavy creams too.